The demise of The Dogs was sad news indeed as it had been a city centre mainstay of high quality fare for many a long year. 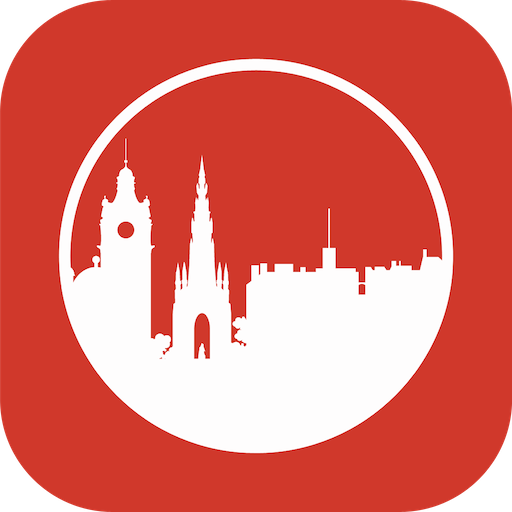 It was heartening to see another independent operator take over the site so I was keen to check things out upon my return to the city. From the team behind The Kilted Pig, a pub where I’d enjoyed a pretty impressive breakfast a while back, The Perch has been trading for a few months and is following a fairly similar approach to what was there before with hearty local dishes at a reasonable price-point. I was joined on this escapade by regular guest quester Rachel. We were both up for a good feed which was lucky as The Perch’s notion of portion control had completed gone out of the window. While we sipped on good Riesling, our starters of mackerel pate and ox liver on toast arrived. 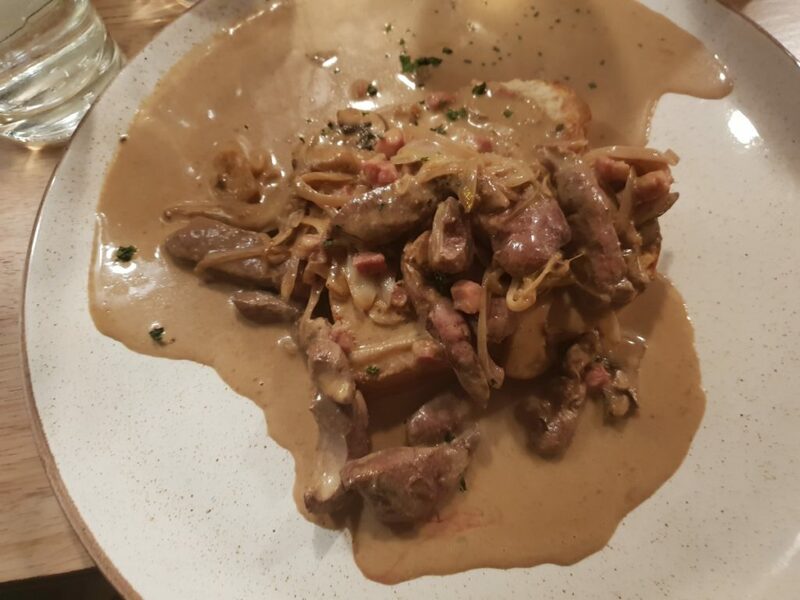 My ox liver was delivered on a comedically large plate – think the classic Alan Partridge solution to breakfast buffets – with a cream sauce inelegantly bleeding across its massive surface. Fortunately it proved a decent enough eat but the presentation was…amateurish. 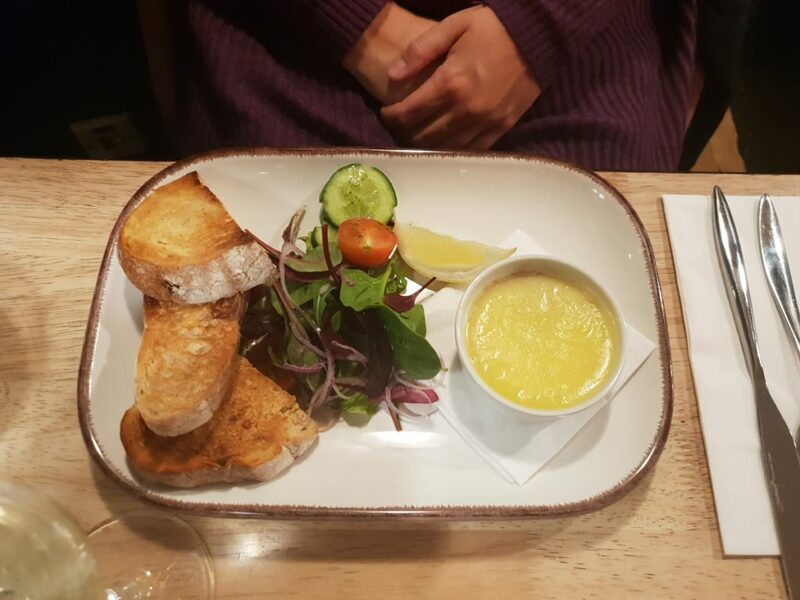 Rachel’s mackerel pate was neater and within the bounds of a sensibly proportioned starter. Main courses were as oversized as the starters. 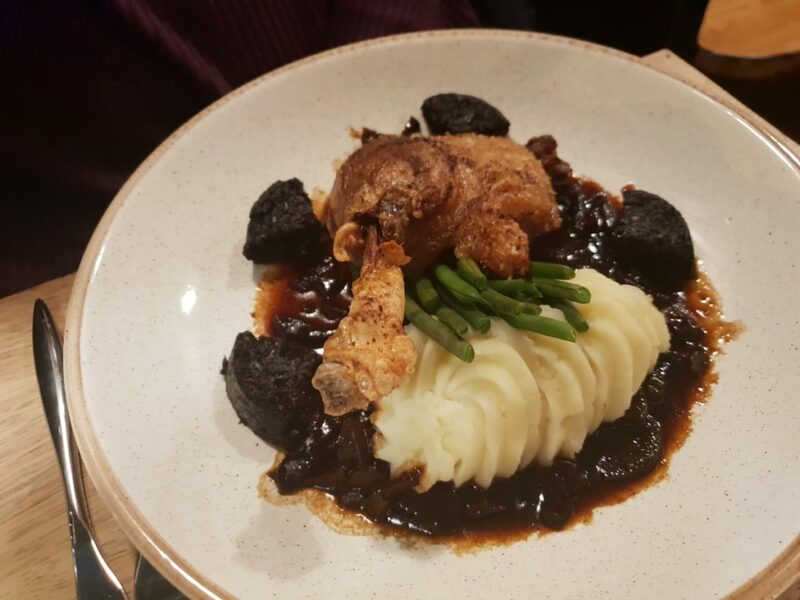 Again, Rachel had done better in terms of her confit duck leg with black pudding, piped potato and green beans at least looking fairly thoughtfully put together if a touch rustic. It was a good, hearty dish. My dish was a monstrous amount of lobster macaroni cheese. Seasoning was well under but easily enough fixed with condiments on the table. But the portion was madly huge. We’d added a shared portion of fries and while these were good they were superfluous in the face of the other massive portions. Service was friendly and disarminly honest throughout, but the lack of familiarity with the menu demonstrated by our waitress was a concern. Overall, The Perch was a really mixed bag. 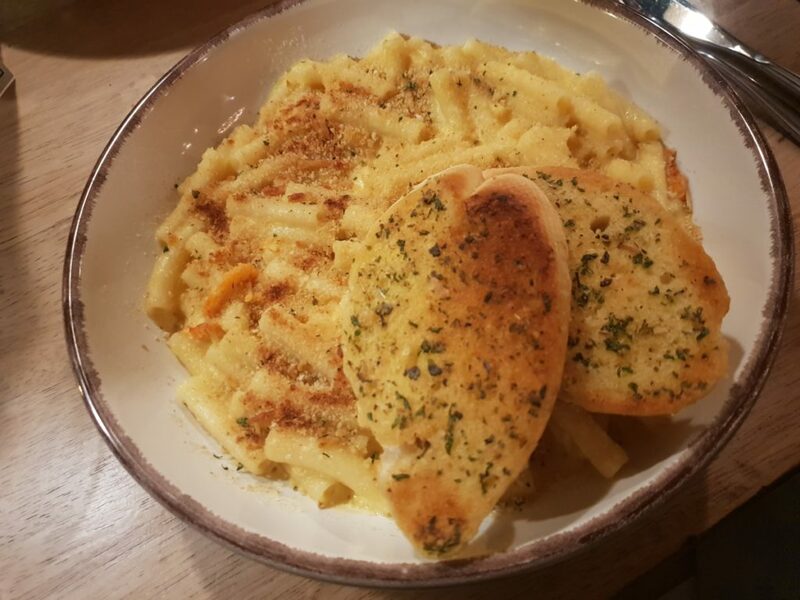 They’ve made a good job of making the space feel cosy and welcoming, and the menu reads pretty well. But there seems to be a lack of experience and assurance both in the kitchen and front of house. There’s a sense in which the naivety was sort of charmingly daffy but that can only go so far. We just about got through the evening by tip-toeing along the edge of a disastrous precipice, but in the future I’d rather put my dining trust in places with much more demonstrable levels of skill.